Best removalist in Hornsby! Give us a call when you need Hornsby removals services – whether commercial, local, intercity or even interstate! When you need fast, reliable and affordable Hornsby removals, give us a call! Anyone who’s ever needed to move their home or office premises knows exactly how tiresome and frustrating it can be. Trying to pick up and relocate such a huge part of your life is tough and it’s understandable that you might feel overwhelmed by the enormity of the task that’s ahead of you. Luckily, you can count on Ready2Go Movers to provide fast, reliable and affordable Hornsby removals that take away the stress of moving. Simply give us a call, book your move and relax while our friendly team safely packs, transports, and unpacks your belongings. 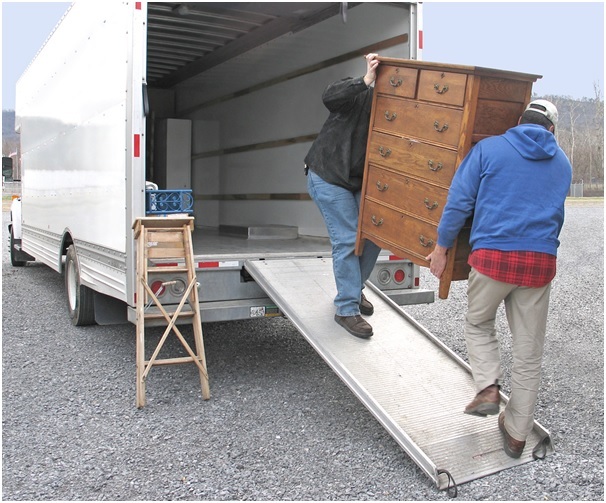 We provide help with both residential and commercial relocations as well as interstate moving and furniture assembly. If you would like a FREE quote for our services, don’t hesitate to get in contact with us. Why Choose Ready2Go as your Removalist in Hornsby? Find out why Ready2Go is the superior choice in Hornsby removals! Finding the right moving service to help you relocate your home or office can be difficult, especially if you aren’t aware of the differences between providers. At Ready2Go, we believe that we offer the most comprehensive and reliable moving service in the Sydney region. The crew at Ready2Go are all professional movers with decades of experience and expertise behind them. We always take the utmost care with all of your possessions no matter how big or small they are. We are a highly trusted moving service and always adhere to required safety standards and regulatory codes throughout all the work we do. We take our work very seriously and never let anything jeopardise the high standards that our customers expect. The crew that arrives at your home or office will be customised in order to meet your specific needs. This means that they will carry out their job as efficiently as possible while you get to relax and focus on adjusting to your new space. At Ready2Go, we are always introducing special offers and discounts for our customers to take advantage of. If you’d like to know what special offers and discounts we have available, contact us today. When you engage us as your removalist in Hornsby, you will receive real-time SMS alerts updating you on the progress of your move, such as when our crew expects to arrive at/leave your premises. We always keep you informed so that you can always feel secure about how your property is being handled. We make hiring a removalist in Hornsby completely stress-free! We value you and your property above all else! At Ready2Go, we are committed to maintaining a high level of trust with all of our customers. We know that trusting strangers to handle your belongings and transport them long distances can be a little scary, especially if you have never used a service like ours before. We understand that our customers are highly protective of their property and that’s why we have worked hard to ensure all our employees are both experienced and trustworthy. We know that there’s nothing worse than dealing with movers who are clumsy or negligent and that’s why we take our hiring policies so seriously. Our goal is to make moving, a process that’s notorious for being a big hassle, a breezy, painless experience for our customers. We believe that when you invest in new residential or commercial premises, relocating your furniture and belongings should be a simple, straightforward process. Engaging our services means that you can stop stressing about the logistics of the move and instead focus on settling into your new space. This means that the whole process of setting up a new space and returning to business as usual can be over in far less time. Ultimately, our Hornsby removals service is ideal for people who are moving but don’t have the time, energy or patience to do it all themselves. Not only is our professional service convenient; it’s far safer for both you and your property.